Emotional development is deeply associated to the benefits of pets and child communication. Pets accept them for who they are so they experience no social pressure. And they can also be a bridge between two kids. An ice-breaker. But how about intellectual development? Learning to take care of an animal teaches responsibility. Verbal skills may become better for children that communicate with pets. There are even studies that shows how cognitive development has improved in kids with pets helping them boost their IQ scores. 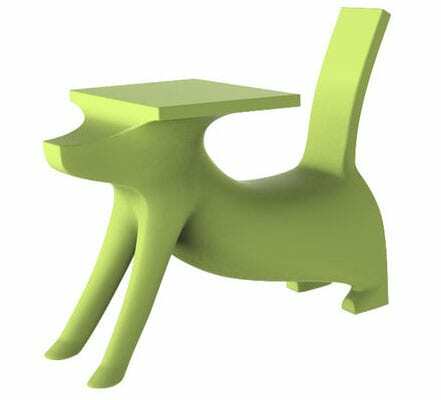 With this in mind, Philippe Starck incorporated the good old “best friend” image into an everyday object, creating a simple yet functional and unique concept for children. 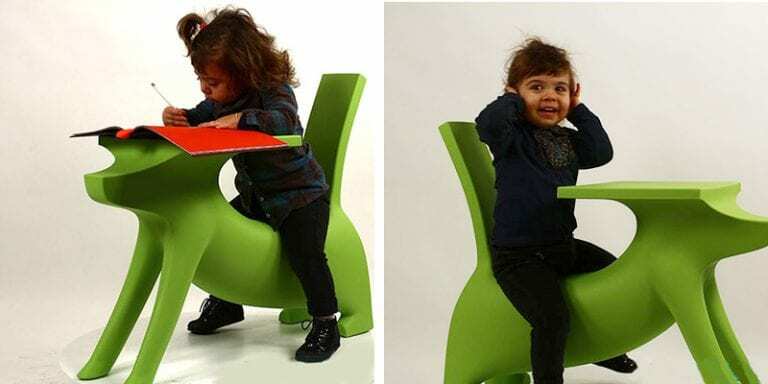 For the Magis Me Too collection, the designer brought to life a “kid’s office” idea: Le Chien Savant. Magis is an Italian design company focused on environmental topics. This Italian company recently obtained the GREENGUARD Gold Certification which “ensures that a product has met some of the world’s most rigorous and comprehensive standards for low emissions of volatile organic compounds (VOCs) into indoor air”. 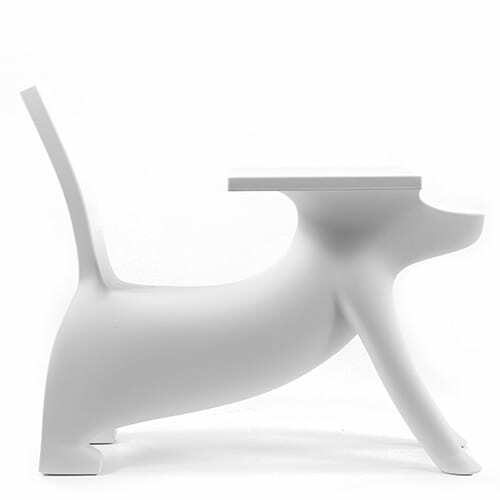 So in conclusion, Le Chien Savant is a safe, comfortable and really cool doggie desk!